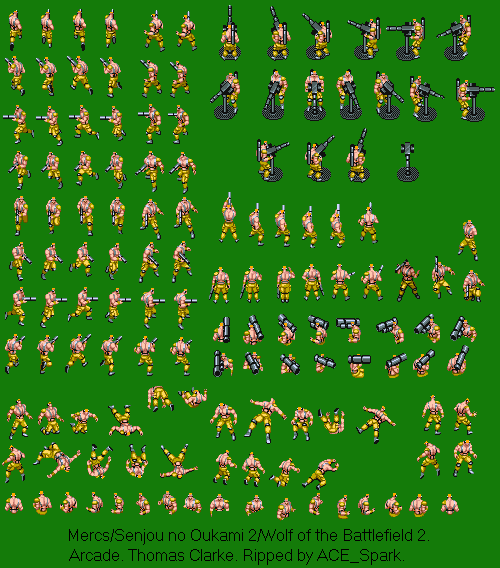 ﻿ The Sprite Cemetery: Mercs. Senjou no Oukami 2. Wolf of the Battlefield 2. Arcade. Player 3. Thomas Clarke. Mercs. Senjou no Oukami 2. Wolf of the Battlefield 2. Arcade. Player 3. Thomas Clarke. Capcom.